Our story starts in Chicago’s Cellular Field. It’s a Thursday evening during April in 2010 and the White Sox are playing the Cleveland Indians. With Chicago ahead 3-2, the count is one ball, two strikes for the Cleveland batter. 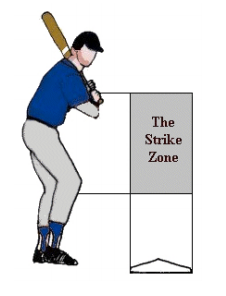 The pitch is probably in the strike zone–the ump has called similar pitches strikes 80% of the time. But he called it a ball. Two pitches later, scoring a runner who was on first, the batter hits a double. The game is tied and continues to the 11th inning when Cleveland wins, 5-3. Where are we going? To why the umpire’s decisions were not entirely determined by the location of the ball. Using data from 3.5 million pitches, researchers have hypothesized that home plate umpires are less likely to call a strike (when the batter does not swing) if the previous pitch was also a strike. And they are even less likely if the previous two pitches were strikes. The probable reason? Especially when the pitch is close to a strike zone boundary, umpires tend to avoid a sequence of identical calls because they believe that a streak is improbable. Because behavioral economists add a dose of psychology to economics, they provide more insight about the incentives that influence our decision-making. In a store, a behavioral economist could remind us that when we experience “choice fatigue” from too many alternatives, we might not adhere to the more rational law of demand. And for baseball, patterns can create incentives. When umpires believe that a sequence of similar calls is not likely, they are more prone to error. My Sources: Included in the NBER digest, this paper on the gambler’s fallacy compared how certain judges, loan officers, and baseball umpires perceive sequential decisions and ideally complemented this fivethirtyeight baseball story and these baseball stats. Meanwhile, you can listen to more about behavioral economics by visiting Dan Ariely’s blog and listening to Behavioral Economics: When Economics and Psychology Collide.